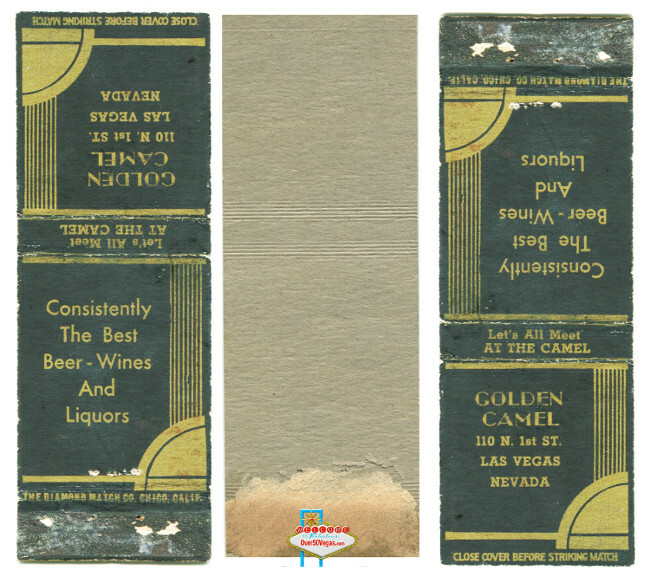 The Golden Camel was licensed for Slots, 21, and Craps. 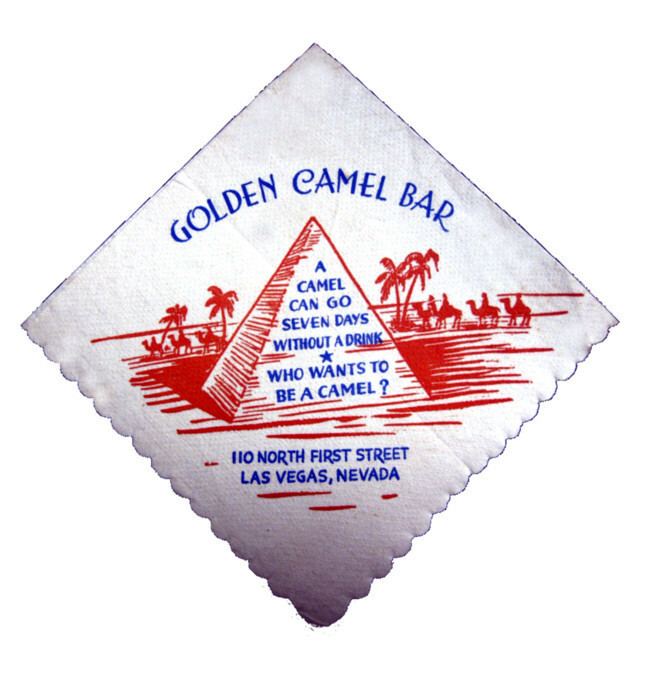 There are few collectibles surviving from the Golden Camel. is one of those few. 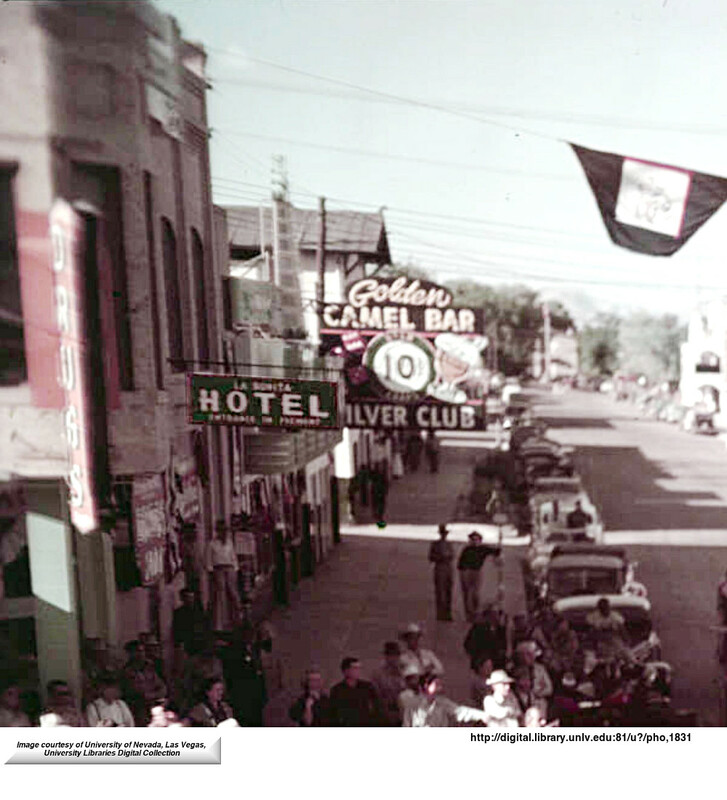 In the photo above is the Golden Camel, the Silver Club at 108 N. 1st. and the sign for La Bonita Hotel 30 E. Fremont at the corner with Fremont Street and North 1st Street. 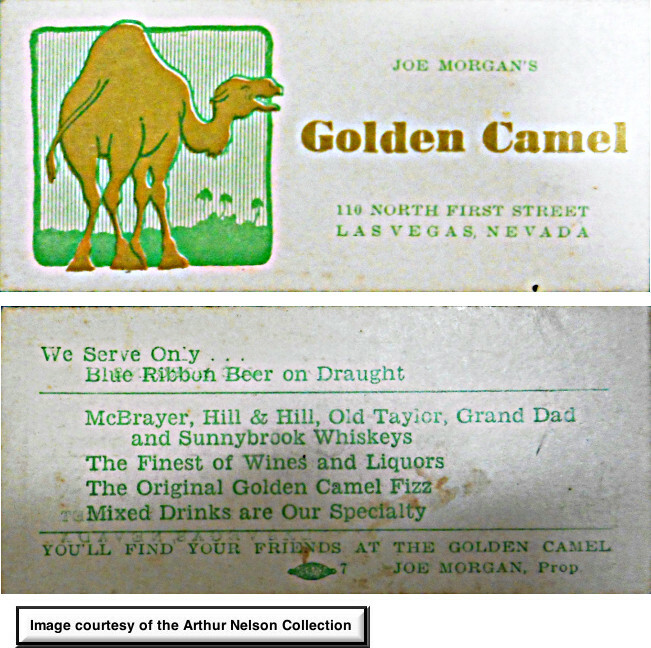 Here's a business card for the Golden Camel with Joe Morgan's name on it. 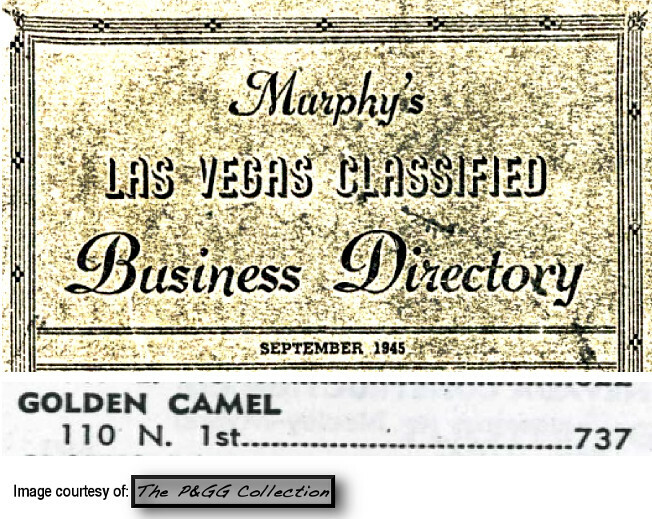 Morgan was associated with various bars including the Silver Club. 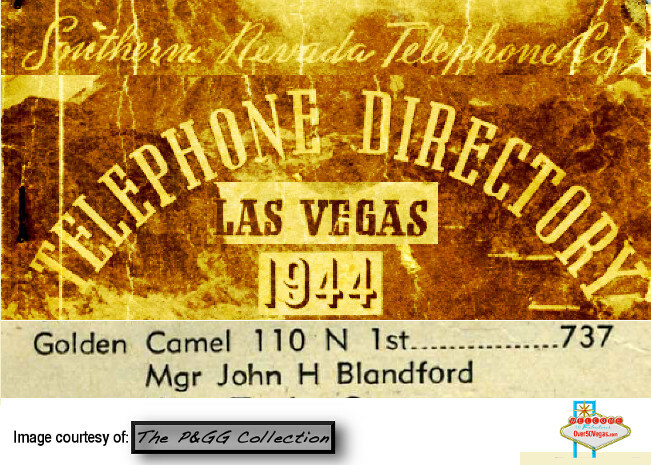 Thanks to Art Nelson for sharing this great collectible.